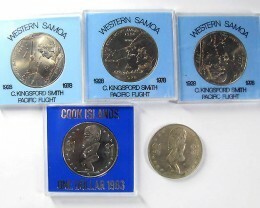 Around 1874 the British Empire was very interested in the Pacific Islands these islands were, Fiji, Vanuatu (then known as New Hebrides), Tonga, Samoa, Papua New Guinea, New Zealand, Solomon Islands and Tahiti. 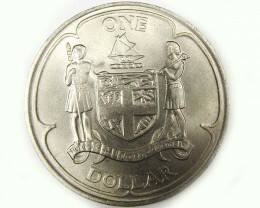 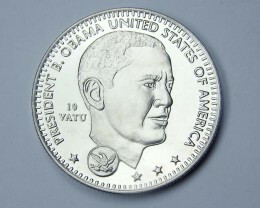 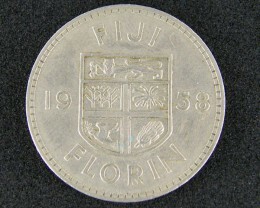 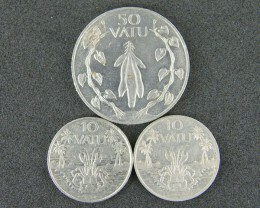 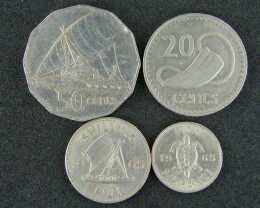 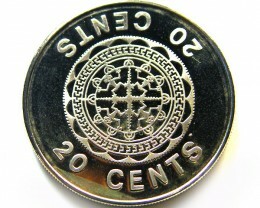 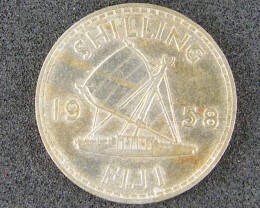 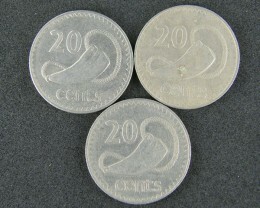 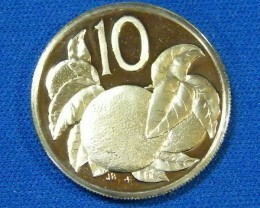 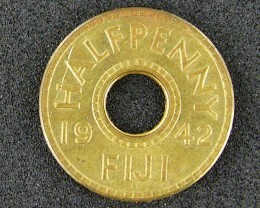 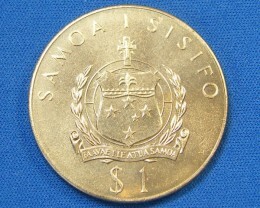 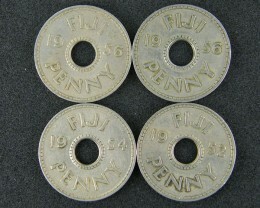 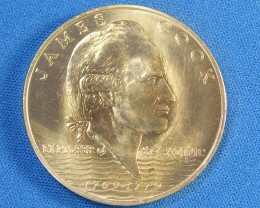 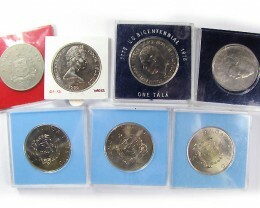 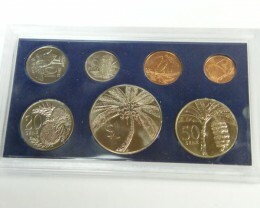 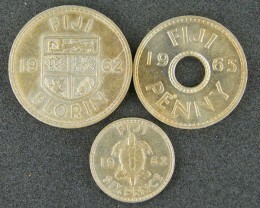 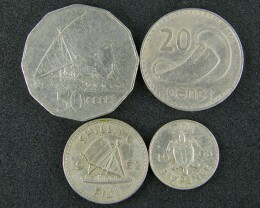 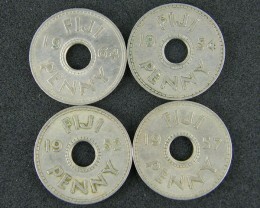 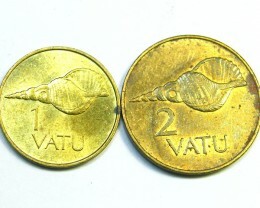 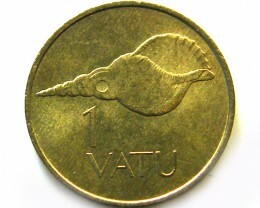 With major chiefs of the Pacific Islands converting to colonies of the British Empire during WWII their systems in civilised living was adopted, including their coinage system. 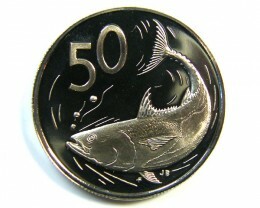 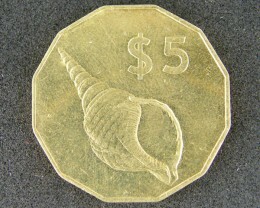 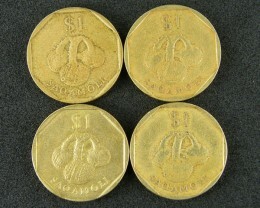 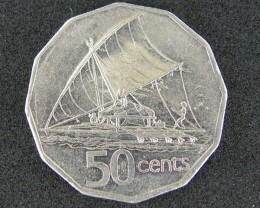 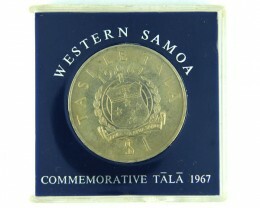 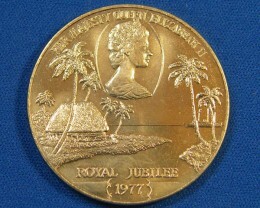 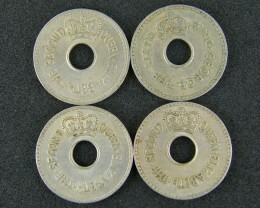 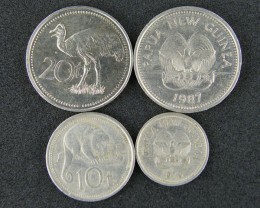 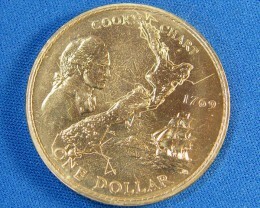 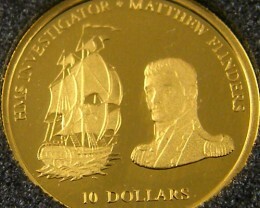 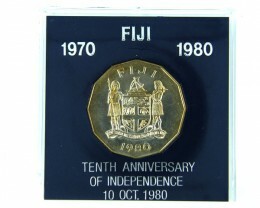 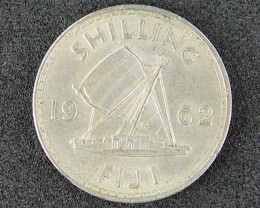 The Royal Mint in Australia was built in 1966 and did not want to be another branch of the Royal Mint in London.Â In 1942 Pennies for the Pacific Islands were struck in Brass and relocation was in need of change due to WWII difficulties and the Royal Mint in Australia could not handle the work load.Â The new location for striking of the pennies was San Francisco, Denver and the Royal Mint in London.